New research from the University at Buffalo suggests the thermal comfort of young men and women can vary during exercise and the recovery stage. Findings were published in the journal Medicine & Science in Sports & Exercise. Ten men and 10 women in their early 20s rode a stationary bike at a low intensity while wearing a neck cooling device operated by the subject. Despite similar changes in skin temperature during exercise, female subjects wanted more cooling compared to their male counterparts. During continued monitoring after exercise, the skin temperature of men gradually returned to normal levels in about 1 hour. Although their skin temperature returned to normal in about 10 minutes, women continued to desire more neck cooling, suggesting their core temperature remained elevated. You can really dig down deep into the details when planning a workout, including timing how long each rep should last. But sometimes going with your intuition is a better approach. Consider the findings of a study published in the Journal of Strength and Conditioning Research. Twelve men with weight training experience did a pair of high-intensity workouts. One involved 3 sets at a self-determined pace. The other 3 sets were timed as 2-seconds for the concentric and 2-seconds as the eccentric part of each rep. Self-determined rep speed resulted in greater volume and muscle activation. For many people, the three squares: breakfast, lunch and dinner are the traditional mealtimes, with maybe a little snacking in between. Can changing the timing of these eating occasions help you lose body fat? A study published in the Journal of Nutritional Sciences suggests slightly altering this morning, noon and night schedule can have surprising results. For 10 weeks, some subjects ate breakfast 90 minutes later than normal and sat down to dinner 90 minutes sooner than the typical time. Another groups stuck to regular breakfast, lunch and dinner hours. All subjects kept a food diary, and were allowed to eat anything they wanted. After the 10-week intervention, subjects on the time-compressed eating schedule lost twice as much body fat as subjects who stuck to the usual meal times. They also consumed less food. Asked if they could maintain these dining hours for more than 10 weeks, 57% of subjects said family pressures and social obligations would make that difficult. The remaining 43% said they could continue if meal timing was more flexible. In addition to providing energy, caffeine reduces the perception of fatigue. You can see why it’s popular with weight room warriors. But caffeine’s potential isn’t limited to strength training. A study published in the Journal of Science and Medicine in Sport looks at caffeine use by endurance athletes. Researchers analyzed 40 peer-reviewed articles on placebo controlled trials during endurance races. They found that the effect size of caffeine’s performance enhancing benefits increases with the duration of the event. You’ve probably heard the term ‘fasted cardio’ used when cardiovascular exercise takes place without consuming any food since the previous evening. The idea is to use the body’s fat stores for energy, but a study published in the American Journal of Physiology: Endocrinology and Metabolism suggests this might not be the best approach. Researchers at the University of Bath tested the blood glucose and muscle glycogen levels of 12 healthy male subjects after an hour of cycling. On one occasion, they ate a bowl of oatmeal prepared with milk 2 hours before the workout. On another, they didn’t eat anything. Eating breakfast increased the rate carbohydrates were burned during exercise. 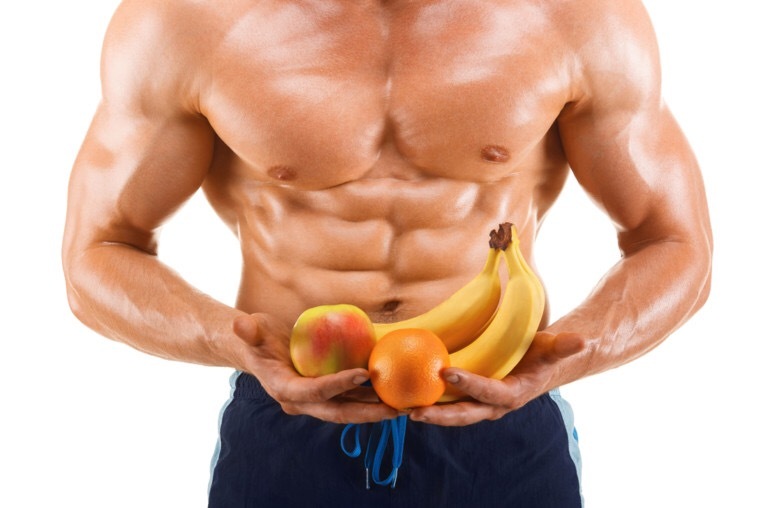 Not just the carbs consumed at breakfast, but also carbs stored in muscle as glycogen. Having breakfast before exercise also increases the rate food consumed after training is digested and metabolized. What’s the right amount of protein for reaching your goals? It depends on the goal, of course. If you’re an aspiring female physique competitor, a study recently published in the International Journal of Sport Nutrition and Exercise Metabolism offers interesting insight. Seventeen women in their early 20s participated in an 8-week resistance training program. During this period, some subjects consumed 2.5 grams of protein per kg of body weight each day while others consumed 0.9 grams per kg of body weight on a daily basis. Subjects on the higher protein diet gained an average of 4.6 pounds of lean mass while losing about 2.4 pounds of body fat. Subjects on the lower protein diet gained an average of 1.3 pounds of lean mass while shedding about 1.5 pounds of fat. All subjects realized increases in strength with no differences between groups. There’s a potentiation protocol called the French Contrast Method that practitioners use to temporarily increase vertical jump height. This could be an effective strategy for track and field as well as other athletes, and a study published in the Journal of Strength and Conditioning Research suggests it might be an effective option. Seventeen athletes had their countermovement jump height measured before and after performing 3 sets of isometric partial squats, drop jumps, dynamic half-squats and hurdle jumps. Countermovement jump height improved an average of 5% after the first set, 6.8% after the second set and 8.5% after the third set. Maximum potentiation was an increase of 11% from baseline values. Every 5 years, the departments of Health & Human Services and USDA publish Dietary Guidelines for Americans. A study recently published in The Journal of Nutrition looks at what percentage of the population actually meets these guidelines. Researchers examined 24 hour food reports submitted by 16,338 people who participated in the 2001–2004 National Health and Nutrition Examination Survey. They found that other than meat, beans and total grains, most people aren’t meeting recommendations for nutrient-rich food groups. In addition, 90% of Americans over-consume solid fats, added sugars and other empty calories. In terms of form, there might be a right way and a wrong way to do a certain exercise, but there will also be variations that have the potential benefit some active adults more than others. Consider this study recently published in the Journal of Strength and Conditioning Research. Sixty-nine active and inactive female volunteers did a set of 3 traditional push-ups followed by another set of 3 suspended push ups. While the traditional push ups resulted in higher levels of triceps muscle activation in gymnasts and inactive subjects, soccer players experienced higher levels of triceps activation with suspended push ups. Endurance athletes fuel performance with carbohydrate energy. Many athletes carb load for marathons and other long-distance races. An interesting study published in the International Journal of Sports Physiology and Performance looks at the impact of carbohydrate consumption in short duration cycling events. Thirteen experienced cyclists took part in 3 experimental time trails. Each consisted of 10 minutes of steady state riding at 60% of capacity followed by a workload targeted time trial. Ninety minutes before each session, subjects were given water, a carbohydrate shake or a placebo shake matched for taste and texture. On average, subjects reached their time trial workload target faster with carbohydrates (18 minutes, 66 seconds) and placebo (18 minutes, 53 seconds) compared to water (19 minutes, 10 seconds). Researchers attributed these differences to being psychological rather than physiological. Numerous studies have shown creatine to be an effective supplement for increasing muscle size and strength when used in conjunction with a well-planned resistance training program. New research published in The Journal of Sports Medicine and Physical Fitness suggests increases in strength can be realized in as little as 2 weeks. Young male subjects supplemented with 0.07 grams of creatine per kilogram of body weight per day during an 8-week weight training program. Some got a placebo, and all subjects performed 6 different exercises 3 days per week. Subjects in the creatine group started experiencing strength gains during bench press, leg press and shoulder press exercises after 2 weeks. 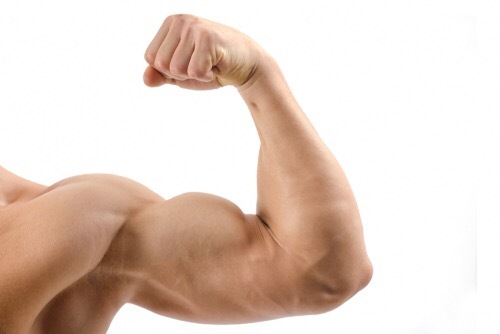 At the end of the 8-week program, compared to the placebo group, subjects who supplemented with creatine showed significant increases in strength for the bench press, leg press, shoulder press and triceps extension exercises, but not biceps curls or lat pulldowns. It’s not unusual to see the same people training in the weight room every day the gym is open. You’d think there would be a huge payoff in gains for training nearly every day, but a study published in the Journal of Strength and Conditioning Research suggests there might not be when frequency is equalized for training volume. Twenty eight men with weight training experience took part in a 6-week program. Before and after, they were assessed for squat one rep max (1RM), bench press 1RM, deadlift 1RM and powerlifting total. Fat mass and muscle mass were also calculated. Some subjects trained 3 days a week and some trained 6 days a week with both programs equalized for training volume. After 6 weeks, both groups showed significant increases in muscle size and strength with no additional benefits seen in 6-day-a-week training. 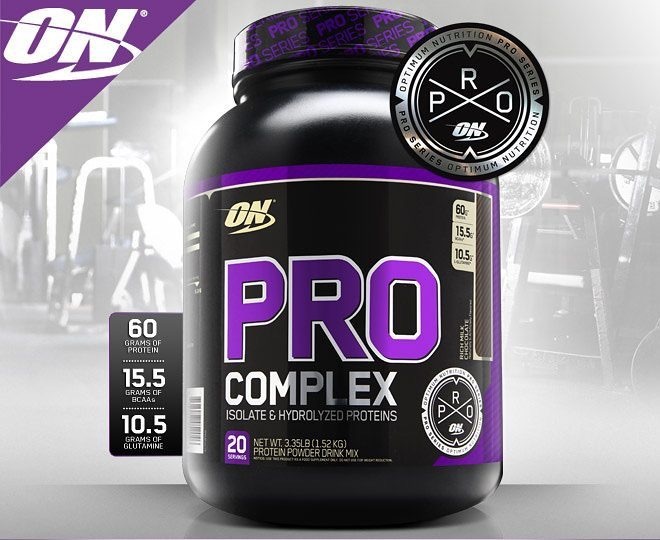 A number of pre-workout products include beta-alanine and this non-essential amino acid is also available as a powder. The supplement has been shown to help enhance exercise performance, and a study published in Journal of the International Society of Sports Nutrition suggests it might have potential strength and power training. Thirty healthy subjects with weight room experience consumed 800 mg of beta-alanine 8 times a day at intervals of at least 1.5 hours for 5 weeks. Some got a placebo. All trained 3 days a week doing a 3-set circuit of back squat, barbell step ups and loaded jumping lunges. There was 40 seconds of work with 120 seconds of between sets rest the first week. By the fifth week, volume had increased to 5 sets with 20 seconds of work and 60 seconds of between sets rest. Improvements were significantly greater for the beta-alanine group, with average power at one rep max increasing by 43% compared to 21% for placebo. Maximal strength gain averaged 51 lbs. for the beta-alanine group versus 35 lbs. for placebo. How physically active do you think you are? According to research published in the Journal of Epidemiology & Community Health, the accuracy of your assessment may be influenced by where you live. Not just the weather, but the country. Researchers tracked the physical activity levels of 540 Americans, 748 Dutch subjects and 254 from England for 7 days. All subjects were over the age of 18 and asked to rate their physical activity levels on a scale of 1 to 5. They also wore activity trackers. Dutch and English subjects were slightly more likely to rate toward the middle of the scale, while Americans tended toward the extremes: very active to inactive. In reality, Americans were much less active compared to the Europeans with the percentage of subjects considered inactive nearly twice that of Dutch subjects. According to fitness tracker data, 60% of subjects from the United States were inactive compared to 42% of the Dutch and 32% of the English. Subjects from all of these countries became less active as they aged. You’ve probably heard weight room regulars debate about how much protein can be absorbed at one time. 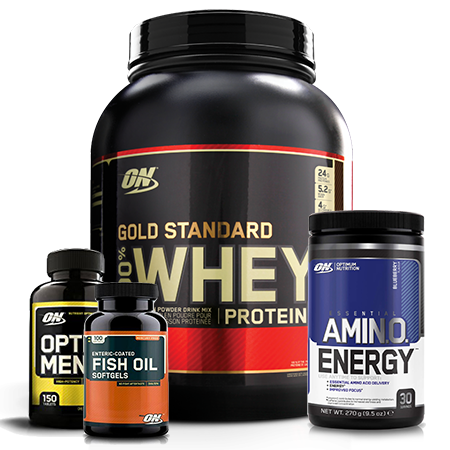 The general consensus is that muscle protein synthesis in young adults is maximized with 20 to 25 grams of protein. This finding is based on fast-digesting protein shakes and doesn’t take into consideration carbohydrates, fats or slower digesting protein sources. A study published in the Journal of the International Society of Sports Nutrition looks at protein consumption per meal. After examining a wide range of studies, researchers suggest a per meal protein target of 0.4 grams per kilogram of body weight. You would need 4 of these meals to reach 1.6 grams of protein per kilogram of body weight per day. To put this into perspective, the protein per meal target for a 160 pound person would be 29 grams, or about what you’d get from a 4.5 ounce chicken breast. Dynamic or high-speed training is one way to increase muscular strength. This type of training is typically done with lower resistance and a higher rep range, but a study published in The Journal of Sports Medicine and Physical Fitness give you a different approach to consider. Thirty active men participated in a 12 week high-speed strength training program. Some used 40% of their one rep max (1RM) while other lifted 80% of their 1RM. Compared to measurements taken before the program began, the low-resistance high-rep protocol improved maximal concentric quad strength an average of 23.3%. Subjects using the high-resistance low-rep routine realized an average 41.8% improvement in strength. Highly competitive team sports athletes are always looking for an edge. In terms of explosive performance, a study published in the Journal of Strength and Conditioning Research tried out a power training routine that has the potential to improve rate of force development by about 9.7%. Seventeen male athletes in their early 20s did 5 sets of 4 jump squats using 40% of their 1 rep max. They got 3 minutes of rest between sets. Compared to a control condition where subjects rested before testing, power training improved countermovement jump performance by an average of 5.1% and increased reactive strength by 10.7%. These improvements peaked at 24 hours after the power training session. Vitamin D can be synthesized through the skin from sunshine, but during the winter months you don’t have very many food sources to choose from. Taking a Vitamin D supplement is one option, but a review of studies published in The Journal of the American Osteopathic Association suggests Vitamin D needs sufficient levels of magnesium to be metabolized, and that could be an issue for lots of people. Devoting time to hitting the gym and sticking to a healthy, balanced diet structured for weight loss is bound to have an impact on your significant other. A study from the University of Connecticut published in the journal Obesity suggests they can share the benefits of a successful effort. 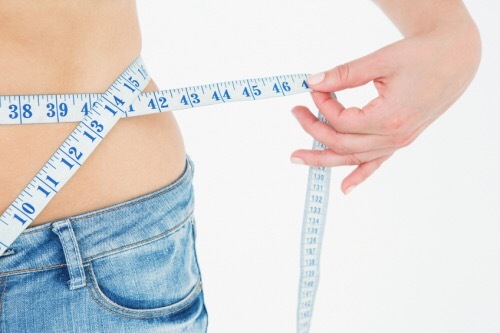 Researchers tracked the weight loss efforts of 130 subjects and their partners for 6 months. They found that when one person successfully loses weight, there’s a good chance their partner will also shed pounds – even if they aren’t actively trying. About one third of non-participating partners lost at least 3% of their body weight over the 6 month period. Making positive lifestyle changes can have a benefit on those around you. Experienced weight room warriors understand the value of allowing enough time for muscle recovery. How would taking 3 to 5 days off impact your path to greater gains? If your goals include getting stronger, a study published in the Journal of Strength & Conditioning Research suggests short periods of no weight training can be beneficial. Eight men with resistance training experience took part in a pair of 4-week strength training programs. They took 3.5 or 5.5 days off after the second 4-week session. Compared to tests taken before the first program started, countermovement jump height and isometic bench press peak force were greater after both periods away from the gym. Scientists theorized these improvements might have been the result of decreased neuromuscular fatigue. Milk contains both whey and casein protein. 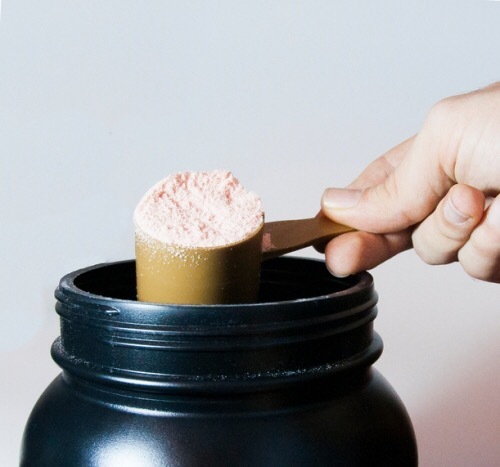 Whey digests faster while casein is thicker and more slowly digesting. How to put them to best use is a matter of debate, and a study published in the International Journal of Sport Nutrition and Exercise Metabolism weighs in with new research on both proteins, including a mix of the two. A group of 31 men with weight room experience took part in a 9-week resistance training program. 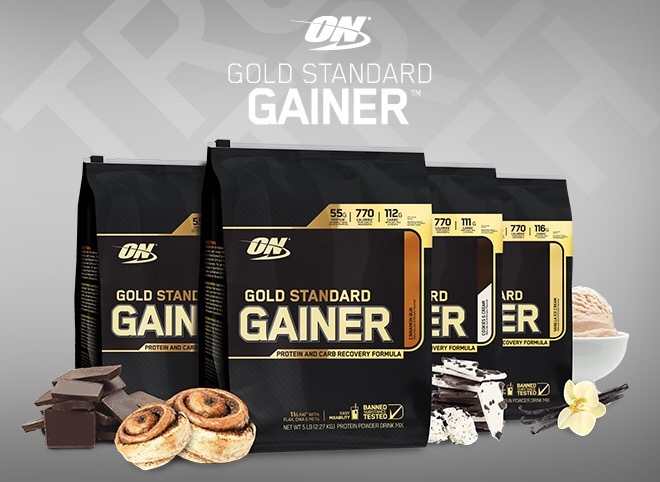 After each training session, subjects consumed 20 grams of whey protein, 20 grams of casein protein or 20 grams of protein consisting of equal parts whey and casein. Although there was greater availability of the BCAA leucine after consuming whey compared to casein or the protein blend, muscle size and strength gains were similar across all 3 post-workout protein shakes after 9 weeks of training. Many types of athletes use plyometric jumps to develop greater power. What does that mean in terms of competitive performance? A study on basketball players published in The Journal of Sports Medicine and Physical Fitness provides more detail on the kind of improvements players can expect from a pre-season plyometric program. For 8 weeks, subjects included a periodized plyometric program consisting of 117 to 183 jumps with their regular training. Compared to a control group that stuck with a traditional basketball training program, plyometrics helped subjects increase vertical jump height, improve agility, boost maximal strength and run faster 60-meter sprints. As an athlete, every second counts. Every inch is crucial and can be the difference between winning and losing. That’s why speed is essential for any athlete at any level. Typically, the one who is fastest is the one who’s in a better position to win. The great thing about these four exercises is that you can incorporate them into nearly any training program, since they’re mostly lower-body exercises and one of them you should be doing already! But if you’re not, ditch any isolation exercises you have in your current plan and add one or more of the following exercises when you feel the need for speed! If you’ve been limiting your training to bodybuilding-style workouts, this explosive exercise is probably the best barbell exercise you’ve never done. • Starting with your feet hip-width apart, grab the bar with an overhand grip. • Keep your back flat and chest tall as you pull the bar off the floor. • After the bar passes your knees, sweep the bar into your hips (making contact at mid-thigh/the hip crease). • Aggressively extend your hips, knees and ankles to catapult the bar up to your shoulders. Sled pushes force you to sprint – but with a forward lean. This increases the activation of your body’s largest muscle: your glutes. If you watch the short sprint events at the Olympics, you’ll quickly notice the size of the asses on the sprinters. This is pure muscle, and it generates pure speed. • Load your pushing sled with the desired weight. • Take an athletic posture, leaning into the sled with your arms fully extended, grasping the handles. Push the sled as fast as possible, focusing on extending your hips and knees to strengthen your posterior chain. Squats are no secret for building leg mass, and as such, they’re a staple for any sprinting athletes. Even if you’re not spending time at the track or on the football field, the back squat is essential. • Grab the bar with a grip that’s comfortable for your shoulders. • Unrack the weight, brace your abs and push your hips back to descend into the squat position. • Squat until your thighs are parallel (or slightly below parallel) to the ground. • Keep your knees in line with your toes, chest up and back flat as you push through your heels to stand up. The split squat has been a staple that has generated powerful athletes for decades. Although it looks like a single-leg exercise, it uses both legs. In fact, The split squat is very similar to the back squat, but slightly more hip-dominant. • With dumbbells at your sides and your back foot elevated on a bench, squat while keeping a straight back and tall chest. • Push through your heel to extend your front knee and hip back to the starting position. Coffee with a donut is a classic pairing, and recent research from Cornell University offers interesting insight into why they seem to go so well together. Findings on how caffeine might temporarily reduce your perception of sweetness were published in the Journal of Food Science. Volunteers drank decaffeinated coffee with sugar added. Some cups were dosed with 200 mg of caffeine to simulate a strong cup of coffee. Asked to describe their level of alertness after drinking coffee, subjects could not tell if their cup contained caffeine or not. But the subjects who got the caffeinated brew rated it as tasting less sweet than subjects who had the regular decaffeinated coffee. Using machines can make weight training safer, especially when you don’t have a training partner to use as your spotter. Of course, the movement won’t be exactly the same as using the traditional barbell. A study published in the Journal of Strength and Conditioning Research compared traditional deadlifts to a walk-in style deadlift machine. Subjects performed conventional barbell deadlifts using a pronated grip and tried both ball of foot and toe alignment in the deadlift machine. Although the walk-in machine allowed a more upright trunk angle, potentially reducing stress on the lower back, it also shifted muscle activity away from the glutes to the knees. After strength training, a whey protein shake can help kick-start muscle recovery. When you get done with a run, carbohydrates help replace the energy your body used to fuel the effort. A study published in the International Journal of Sport Nutrition and Exercise Metabolism looks at how both nutrients affect fat oxidation. Twelve recreationally active women took part in an incremental 23 minute bike ride where the effort ranged from 30% to 80% of maximal oxygen consumption. Then they exercised for an hour at 75% of capacity. After this workout, subjects received 20 grams of protein, 20 grams of carbohydrates or a placebo. Whole body fat oxidation doubled during the second trial and the rate of fat oxidation while subjects were at rest wasn’t significantly different between protein and placebo conditions. Carbohydrate consumption did reduce the increase in fat oxidation after exercise. It’s not unusual for weight room regulars to look forward to their turn on the bench press. Squats are another story. A study recently published in the journal Medicine & Science in Sports & Exercise suggests recovering from a leg day workout might not be the same as when your work upper body muscle groups. A dozen healthy young males performed 5 sets of 2-minute maximal voluntary contractions using knee extensor muscles. They got 8 minutes of rest between sets. On another day, they did the same workout using elbow flexors. The average decrease in a subject’s ability to contract muscles was 12% greater after training leg muscles. White total fatigue was greater on legs, peripheral fatigue was greatest when working the elbows. With High Intensity Interval Training (HIIT), busy adults can get a good workout in about half the time it takes with steady state cardio. That’s an attractive benefit, especially when you consider how many people say they just don’t have time to exercise. New research from Iowa State University suggests the intensity aspect of HIIT can be a drawback. Convincing less active adults to step up their game with HIIT sounds great until you consider research published in the Journal of Sport & Exercise Psychology. The study compared subjects who started with vigorous exercise and then decreased intensity with subjects who took the typical approach of starting out slow and gradually increasing intensity. The intensity increasing group went into each session remembering a negative experience while the group that decreased training intensity expected to feel good after future workouts. There’s been quite a bit of research on the benefits of green tea. Now a new study published in the European Journal of Nutrition suggests the polyphenols found in black tea might also help with weight management. In lab mice, green tea polyphenols are absorbed into blood and tissue. But black tea polyphenols are too large to be absorbed in the small intestine. Instead, they stimulate the growth of gut bacteria that alters energy metabolism. Researchers found that both green and black tea polyphenols promote the growth of beneficial microorganisms in rodents. 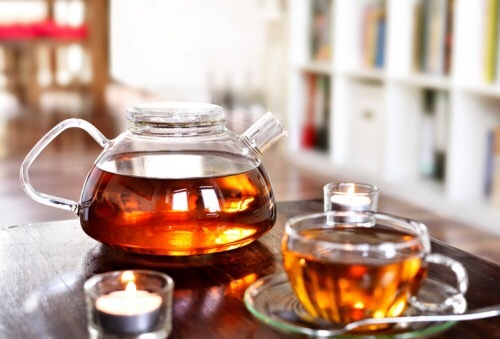 With both types of tea, they found more digestive system bacteria associated with lean body mass and less associated with obesity. Some people like a rare steak while others want theirs well done. The protein in that meat doesn’t really change, but a study published in The American Journal of Clinical Nutrition suggests that cooking can influence the bioavailability of amino acids for older adults. On separate occasions, 10 volunteers between the ages of 70 and 82 consumed beef containing 30 grams of protein. 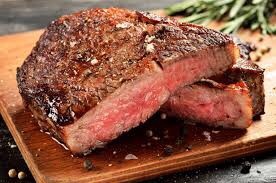 For one meal, the meat was cooked at 135 degrees for 5 minutes which is considered rare. The next time, it was cooked at 194 degrees for 30 minutes. After eating, there was a lower concentration of amino acids in blood with the rare cut compared to the well-done preparation. This was associated with decreased protein synthesis. This effect isn’t the same with younger individuals where the degree of cooking doesn’t really alter amino acid bioavailability. Being overweight can certainly have a negative impact on your health. But what about the actual cost in dollars? A study published in the journal Obesity suggests the actual cost of obesity can include both medical care and lost earnings. Using computer models, researchers determined that an obese 50 year old with normal blood pressure and cholesterol levels can cost more than $36,000 in medical expenses and lost productivity during his or her lifetime. On a positive note, if a 20 year old lost enough weight to go from obese to overweight, two-thirds of the lifetime costs of obesity could be saved. Likewise, if a healthy but obese 70 year old achieved similar weight loss, the lifetime cost would be cut by about 40%. 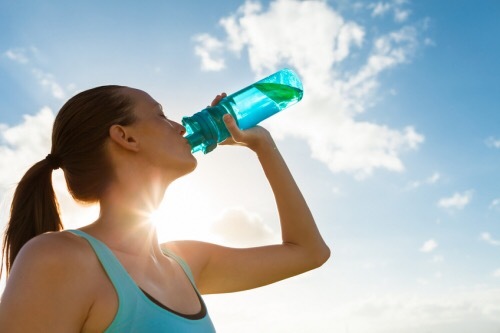 Some people have a specific amount of water or sports drinks they want to consume each day. Others drink when their coach tells them to, or just drink when thirsty. A study published in The Journal of Sports Medicine and Physical Fitness examines the habits of 253 athletes from a variety of different sports.Subjects were asked to complete fluid intake questionnaires. The range in age was 8 to 63 years. About 3% of subjects competed in international competition with another 34% participating at the national level. The remaining subjects were regionally active. Of those responding, 150 reported fluid intake below recommended levels while 23 consumed fluids at or above published exercise hydration guidelines. Many types of athletes alter their training in the run-up to a big event. This reduction in training is often referred to as tapering. 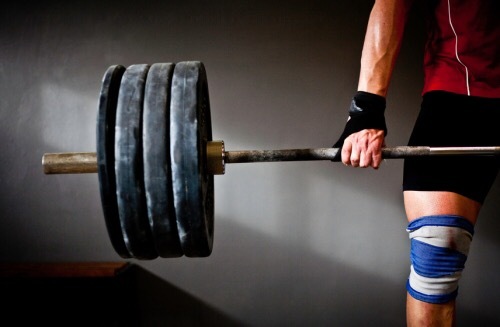 If you’re a competitive powerlifter, consider the findings of a study published in the Journal of Strength and Conditioning Research which explores the tapering practices of Croatian open-class champions. Researchers interviewed 10 successful powerlifters. On average, these athletes decreased training volume by around 50% using a step or exponential approach while maintained or increasing training intensity which peaked about 5 to 8 days before competition. During the final week, training frequency was reduced by about 50% with the final session 2 or 3 days before competition. Taper strategies were identical for the squat, bench press and deadlift. The idea is to maintain strength while reducing fatigue. Nutritional intake, foam rolling and static stretching all received extra attention during the taper. It’s not unusual to see athletes rolling different muscle groups across a foam cylinder. Is there anything to this practice, or is it just another fad? A study published in the Journal of Strength and Conditioning Research shows what foam rolling can and probably won’t do for recovering muscle groups. Thirty-seven men raced forty 15-meter sprints. For the next 4 days, hip range of motion, hamstring muscle length, vertical jump height and agility were tested. Some subjects performed foam rolling each day before testing while others didn’t. 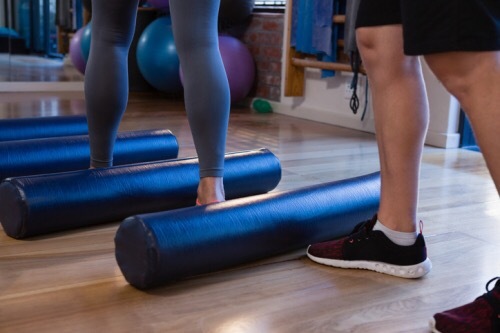 Although there was no effect on hip range of motion, hamstring length or jump height, agility was less impaired in the foam rolling group compared to subjects who didn’t use this simple tool. There’s an old saying that ‘you are what you eat’. Looked at another way, if you’re working hard to improve your fitness, will diet preferences be influenced by your progress? New research from the University of Missouri suggests that eating habits might change with regular exercise. Researchers gave a group of male and female lab rats access to an exercise wheel. Another group could not exercise. All rodents were given 3 types of food to choose from: high-fat, high-sugar and high-cornstarch, all matched for the same amount of protein. Rodents that didn’t exercise preferred the high-fat food over other options. Male rats that exercised only ate half the amount of high-fat food that inactive rats ate, but consumed greater amounts of sugar and cornstarch options. Female running rats preferred the high-fat diet. Whether this effect works the same in humans is unknown. Endurance training improves metabolic health by promoting the development of new blood vessels. Resistance training builds muscle, and a study recently published in the journal Medicine & Science in Sports & Exercise suggests the effort can also leads to small vascular adaptations. Researchers assigned 36 males in their early 20s to a 12-week resistance training program. Some received protein supplements while others got a placebo. 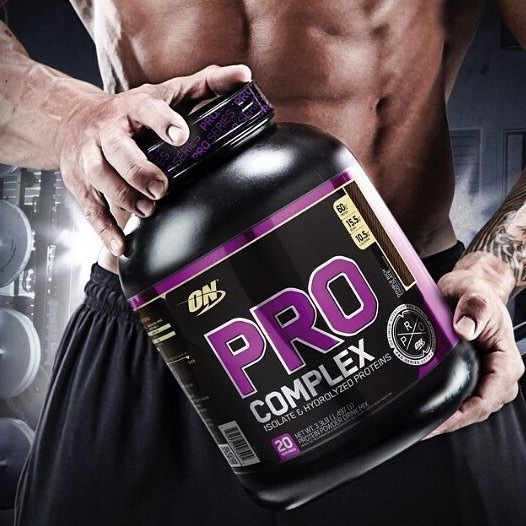 Weight training increased muscle fibers, with greater gains seen in the protein supplementing group. After the second week of training, the capillary to muscle fiber ratio increased significantly, suggesting blood vessel development took place along with muscle growth. A physically fit man is typically stronger than women of the same level fitness, but women have the upper hand when it comes to muscle endurance. Consider the findings of a study from the University of British Columbia conducted in collaboration with the University of Guelph and University of Oregon. Researchers had 8 men and 9 women matched for their levels of fitness flex their foot against an array of sensors 200 times as fast as they could. The speed, power and torque of their movements were recorded along with fatigue. Male subjects were faster and more powerful, but also fatigued more quickly than female subjects. You’ve probably heard the term runner’s high. It’s usually associated with long distance running. The release of endorphins in the brain is behind this effect. A new study conducted at the University of Turku shows that endorphins are also released during High Intensity Interval Training (HIIT). Using positron emission tomography, researchers determined that HIIT significantly increased the release of endorphins compared to a steady state moderate intensity 1-hour run. Scientists theorized this might help your body compensate for the physical and emotional stress of intense exercise. Hitting the weight room is only one aspect of the muscle building process. You also have to take rest and nutrition into consideration. A study recently published in The Journal of Nutrition helps illustrate nutrition’s importance for maintaining and building lean mass. Twenty-four healthy older men were given a drink containing 21 grams of leucine-enriched whey protein, 9 grams of carbohydrates, 3 grams of fat and 800 IU vitamin D each morning before breakfast for 6 weeks. Some received a placebo. Rates of protein synthesis were higher for subjects receiving the whey and vitamin D supplement compared to those who got the placebo. The supplemented group also gained more lean mass. You’ll find active adults with a variety of different goals working in the weight room to develop bigger muscles. If you’re in the game to get stronger, you might be interested in the findings of a study published in the journal Medicine & Science in Sports & Exercise. Thirty-eight volunteers with no weight training experience took part in an 8-week program that included chest press and leg extension exercises. Some did a high-volume protocol involving 4 sets of reps to failure using their 8 to 12 rep max (RM). Others conducted a simple 1RM test where subjects attempted up to 5 maximal reps. Although muscle size and endurance increased more for subjects in the high-volume training group, increases in 1RM strength were about the same for both groups. Most American adults only get about half the recommended daily amount of dietary fiber. 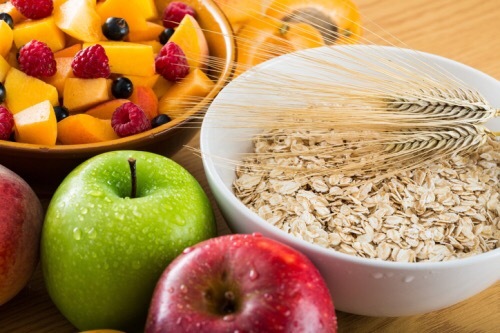 A new study published in the journal Science provides interesting insight into how consuming dietary fiber might influence the bacterial environment of your digestive system. Researchers found that dietary fiber produces a short-chain fatty acid called butyrate that signals cells in your intestines to maximize oxygen consumption. This action helps restrict levels of harmful bacteria. The Branched Chain Amino Acids (BCAAs) Leucine, Isoleucine and Valine are valued by all types of athletes. 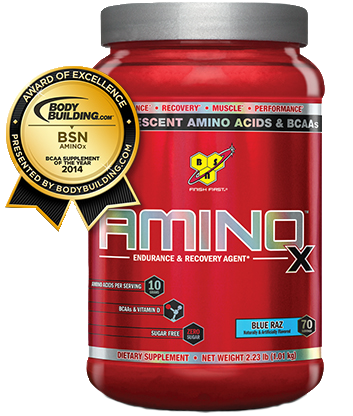 Studies have shown that these essential amino acids can help with muscle recovery, but findings vary. A review of controlled trials published in the journal Nutrition takes another look at the potential of BCAAs. Analyzing 8 different studies, researchers came to the conclusion that BCAAs can reduce creatine kinase for up to 24 hours. Levels of this enzyme become elevated after exercise-induced muscle damage. This suggests that supplementing with BCAAs is better for exercise recovery than rest alone. Your calorie burning efforts during exercise don’t end when you step off the treadmill or stop pedaling a stationary bike. The process continues with elevated resting energy expenditure. A study published in the journal Medicine & Science in Sports & Exercise examines the extended calorie burning effects of moderate intensity continuous aerobic exercise and High Intensity Interval Training (HIIT). Researchers assigned 33 untrained female subjects to 8 to 16 weeks of moderate intensity steady state exercise at 50% of capacity or HIIIT with bouts reaching 84% of exercise capacity. Then they completed a single session. Calorie burning measurements were taken for 23 hours with controlled food intake. Subjects burned 64 calories more than they would have without exercise after a session of moderate intensity cardio and 103 calories more after interval training. Resting energy expenditure was increased for around 22 hours after both forms of exercise. The effect is nullified when you don’t train for more than 60 hours. Resistance training builds muscle and can also burn calories. Not just while working out, but also by increasing your resting metabolic rate. This resting rate typically makes up the majority of the day’s total energy expenditure. A study published in The Journal of Sports Medicine and Physical Fitness compares the effects of training with a light to moderate load and heavy load weight training. Eighteen overweight women in their 30s did high reps with low to moderate weight or a linear periodization of 3 to 6, 8 to 10 and 13 to 15 reps with heavy weight. Both groups trained 3 days each week for 12 weeks. Resting metabolic rate increased by around 8.5% with low to moderate resistance and 10.5% with a heavy load. Interestingly, only 62% of subjects stuck to the light to moderate load workouts while there was 93% adherence to heavy weight training. People who love to lift typically don’t look forward to cardio day. That’s also the trend among runners and cyclists on the days they set aside for strength training. A study from the University of Utah looks into this separation of performance traits using lab mice. Researchers observed how effectively some mice protected their territory by fighting off other mice. They also measured the running efficiency of mice using a treadmill. Rodents that were successful fighters burned more oxygen while running compared to less successful fighters. Although there weren’t significant differences in body mass between runners and fighters, scientists theorized there might be small physiological differences. You might have heard that stretching can have a negative impact on physical performance. Does this happen with all types of stretching, and how long does the effect last? A study published in The Journal of Sports Medicine and Physical Fitness offers insight into these questions. Over the course of 3 days, researchers had 12 male taekwondo athletes sprint 20 meters before and after 3 types of stretching exercises: static, ballistic and proprioceptive neuromuscular facilitation (PNF). Sprint times increased after all types of stretching, and the effect lasted for 15 to 20 minutes with static and PNF techniques. Sprint times recovered after only 5 minutes with ballistic stretching. Trying to guess accurate portion sizes for different foods can lead to consistent underestimating, which can make weight loss or weight management more difficult. Here are some serving size measuring tips offered by the U.S. Centers for Disease Control and Prevention. 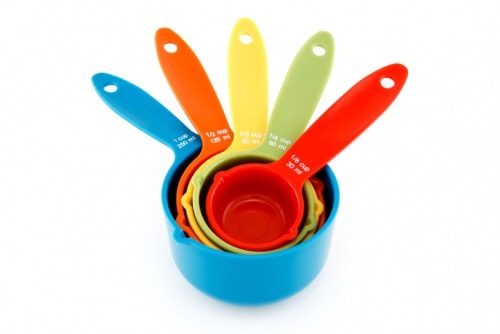 You’ll need a full set of measuring cups or spoons, ranging in size from half a teaspoon to 2 cups. Then get a food scale that includes a tray or cup. Start practicing on dry foods. Items like peanuts and cereal. Measure out exactly what an ounce or half a Cup looks like. Don’t forget about liquids. Most glassware holds a lot more than a standard 8-ounce (1 Cup) serving. What does a 4-ounce serving of chicken breast look like? Use the scale. The more you practice, the easier it’ll be to divide typically larger restaurant servings into the portion sizes you’ve planned into your daily diet. Track and field athletes have a couple different options for warming up before training or competition. 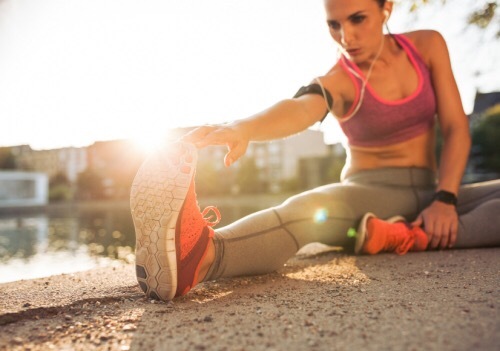 One popular protocol involves dynamic stretching, and a study published in the International Journal of Sports Medicine recently tested its potential on 12 healthy volunteers. Subjects applied four 30-second sets of dynamic stretching to ankle joints. Measurements taken before and after the warm up showed increased range of motion immediately after stretching. The effect lasted for 15 minutes without changing the mechanical properties of muscle tendons.